If you've been to a trade show or convention, you know that you have only a brief moment to capture the attention of your target audience as they walk through the hustle and bustle of the trade show floor. 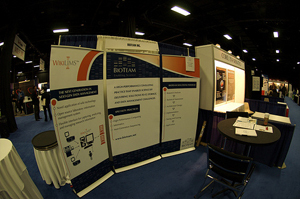 We are experts at creating a presence that will stand out from the crowd and attract people to your booth. So call us today and let us help you make a big impression at your next show.